Bus 735 will be diverted to run via Valkoisenlähteentie during Tikkurila Festivaali from Thu 21 July 8am ti Sat 23 July midnight. 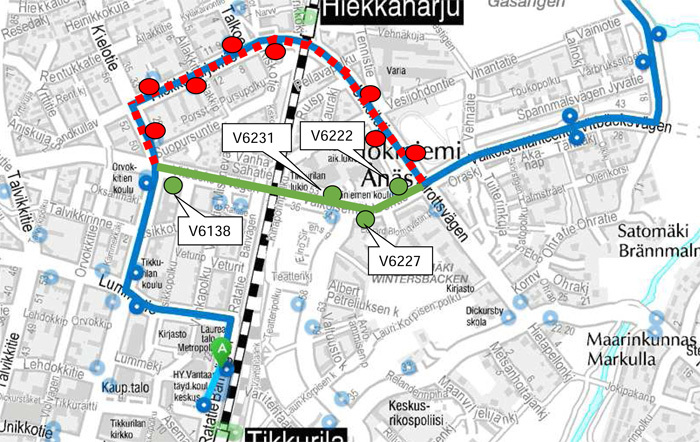 V6218, V6208, V6006 and V6004 when going from Mikkola to Tikkurila. The bus will serve the following stops along the diversion route: V6138, V6231, V6227 and V6227. That is actually the easiest way to get there. Also, there is another good way described at http://phdthesiswriter.com/ that could be also used.